There’s nothing quite like the smell of freshly baked bread, and a loaf that you’ve made yourself tastes so much better than anything else. In this half day workshop you’ll learn all you need to begin baking your own loaves at home. 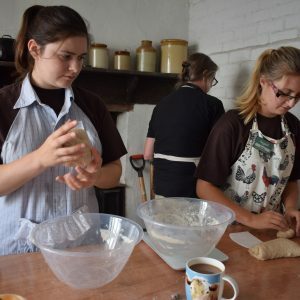 Under the watchful eye of expert baker Sue Hudson, you’ll create a round of soda bread and a Sacrewell loaf from scratch and practice your kneading skills. The bread that you bake will be yours to take home, as long as you can withstand the temptation to nibble on it. The workshop takes place in our Victorian bakery so you can be inspired by the history of the building. Fans of Victorian Bakers on BBC 2 might recognise the room as it was used to film the first ever episode. 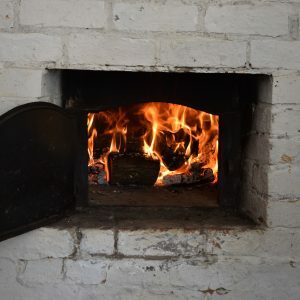 Our wood fired Victorian oven will be ablaze to keep you cosy, but we’ll use a modern oven to bake your loaves to ensure their success. 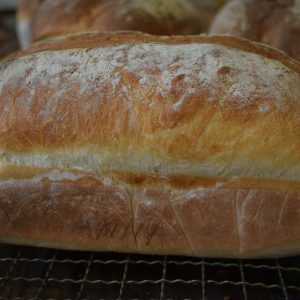 Our Bread for Beginners workshops will run on Sunday 3rd March. Join our morning session from 10:00am till 12:00 noon or our afternoon session from 1:00pm till 3:00pm. Tickets cost £45 per person. This workshop is ideal for beginners. It is suitable for anyone aged 16 or over. Under 18s must be accompanied by a paying adult.